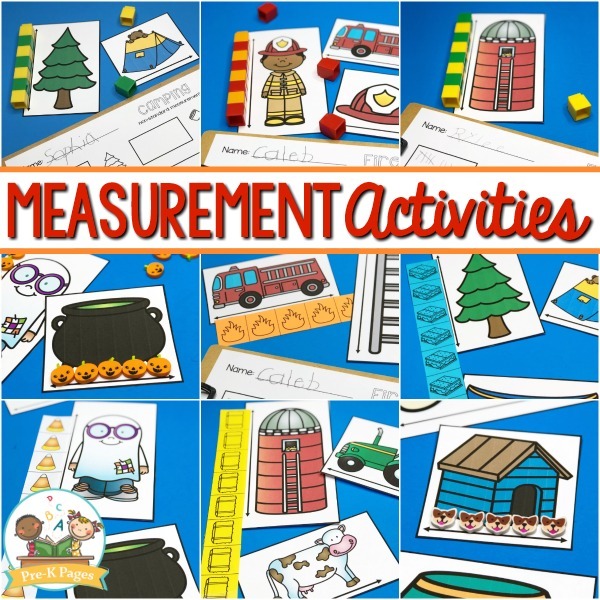 Looking for hands-on measurement activities for your little learners? 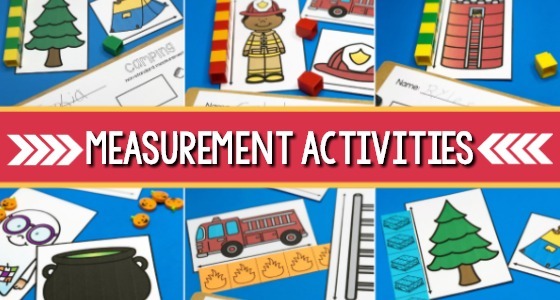 Make learning how to measure a meaningful experience for your preschoolers with these fun activities they’re sure to love! 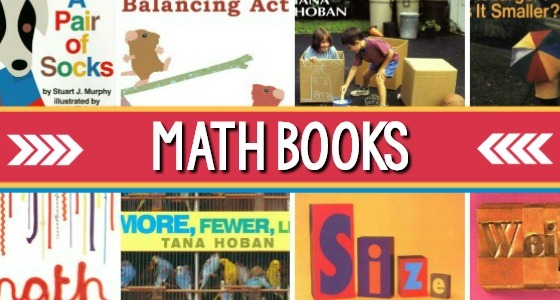 Young children may not be developmentally ready to grasp the math concept of formal measurement just yet. 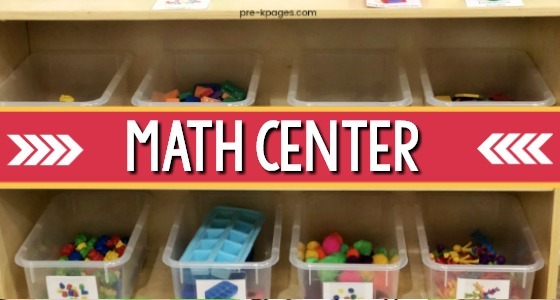 But, you can make learning measurement skills fun and meaningful by introducing the basic math concept of measuring using common classroom items. Measuring tools such as rulers and tape measures use standard units of measurement such as inches and feet. 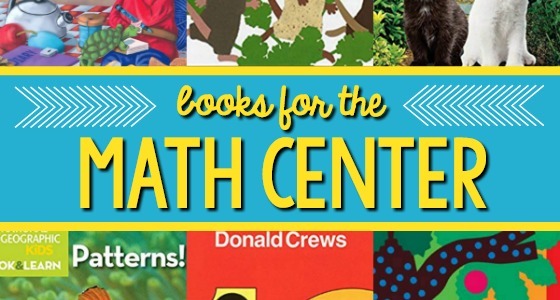 While these math tools are great for older children who can recognize numbers and can do simple math, they may be too advanced for preschoolers. 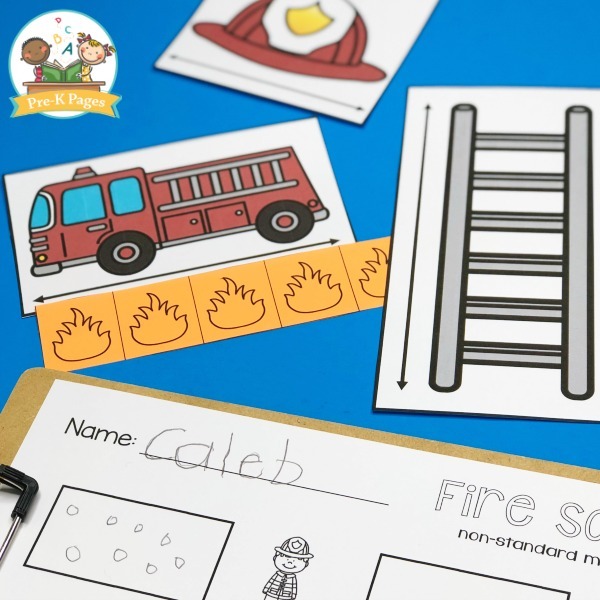 One way to help young children grasp the concept of measurement is to use non-standard units. 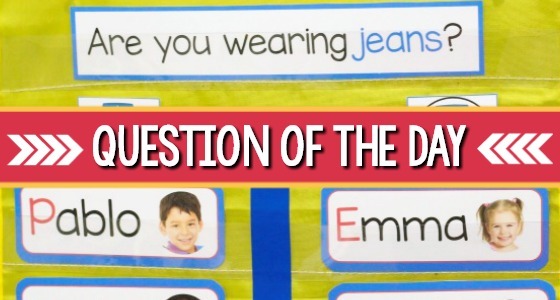 When you measure something without the use of standard tools such as a ruler or measuring tape, you are using non-standard units of measurement. 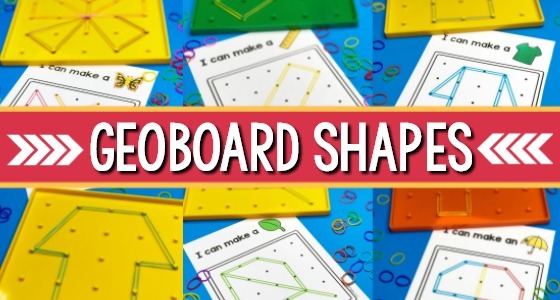 Some examples of non-standard measurement include a wooden block, a shoelace, or even a pencil. These are just a few ideas to get you started, but the possibilities are really endless. 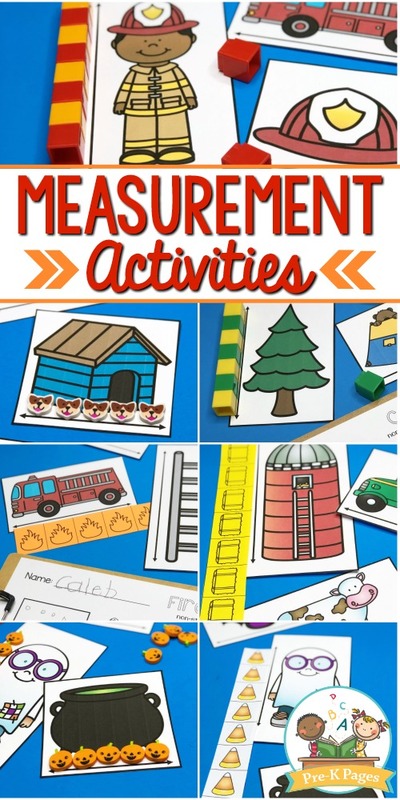 Add some of these simple measurement activities to your lesson plans and provide your little learners with loads of meaningful, hands-on measuring practice! 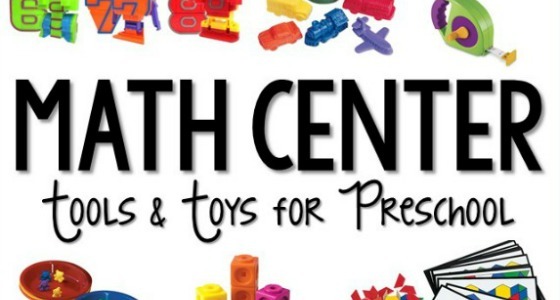 Your kids will have a blast using Unifix Cubes for hands-on measuring practice! 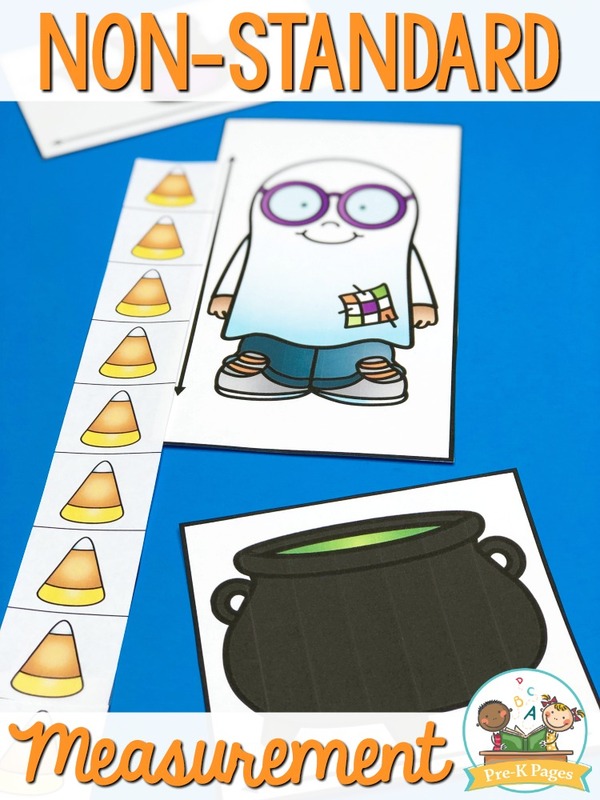 They can measure anything in the classroom, or you can use these measurement cards I made to go with your most popular themes. 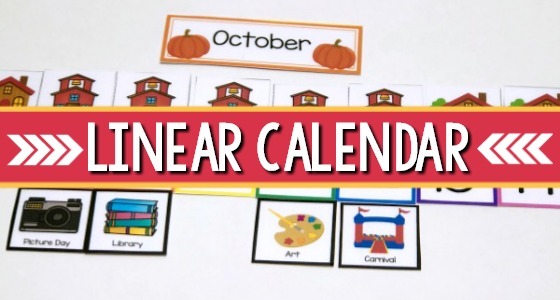 Just print, laminate, and start measuring! Mini erasers have so many uses in the preschool classroom! 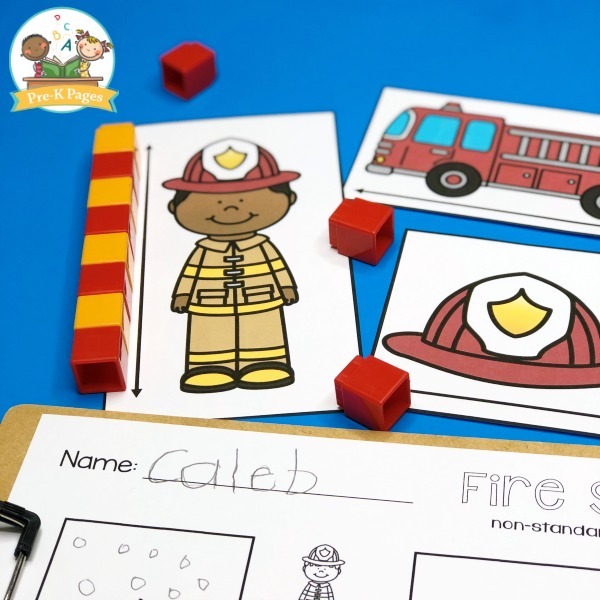 Invite your kids to use thematic mini erasers to measure objects or cards. 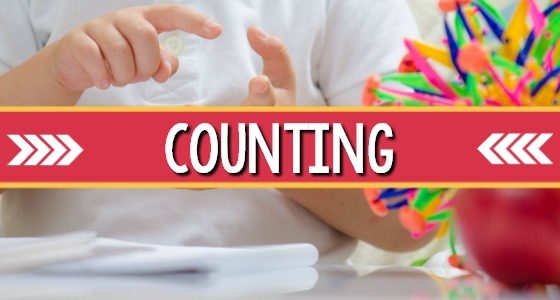 You can find inexpensive thematic mini erasers at places like Target, Party City, and Oriental Trading. 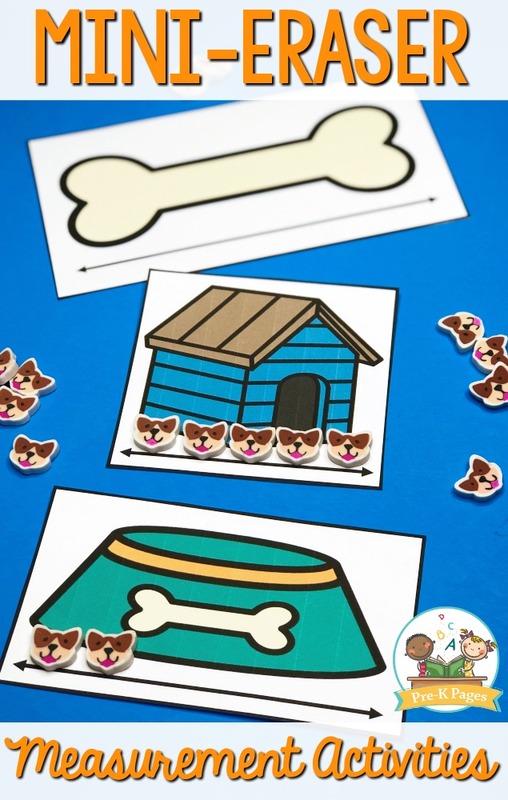 When they’re ready for a more formal introduction to measurement, you can start using these thematic paper rulers with your kids. Print them in black and white on colorful AstroBrights paper, or in full-color. 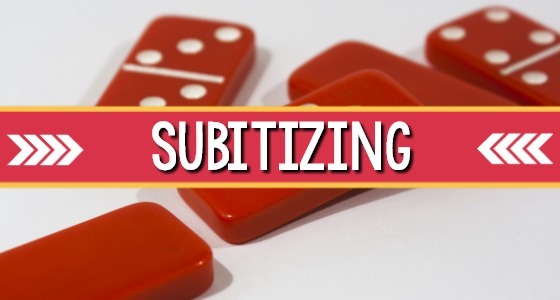 Just print, cut, tape, and laminate! 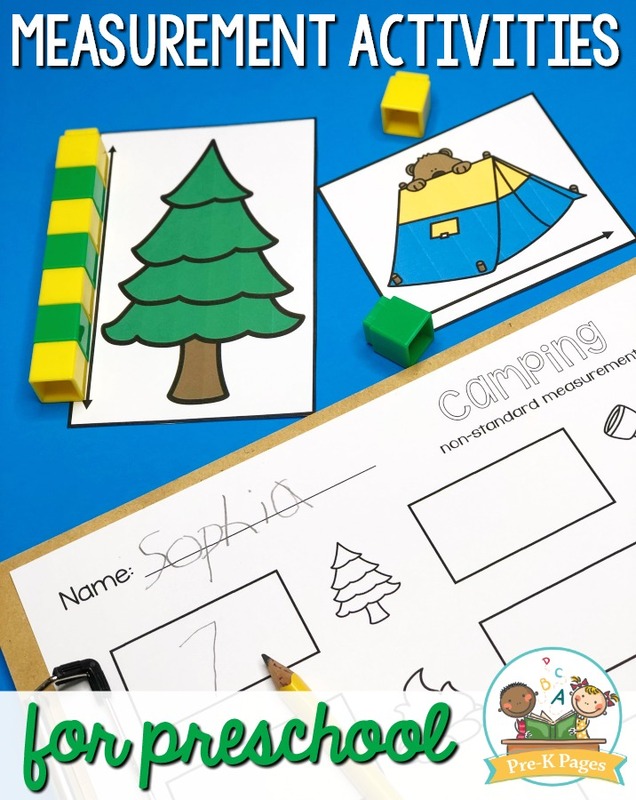 You can grab this 197 page, done-for-you non-standard measurement activity pack in my store HERE.